For most, it is “Upgrade or Die!”. Most modern instant messengers have been packed with features that can no longer allow its full functionality on some older phones and OS versions, to keep up, a newer device is a must for some but for others, 2go comes to the rescue. 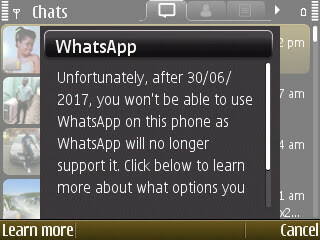 So if you had gotten the notice below from WhatsApp, download the 2go latest version and try the new experience on Nokia – 2go version 7.0 jar, Android – 2go v4.0.12 apk and iOS devices). But, is 2go worth it? 2go is sometimes looked down as an app for kids; the reason is that some people’s first experience with 2go was when they were kids but then, 2go has also matured over the years with its unique selling features. Check this out: . .
- 2go is available on the simplest device that can access the internet. - The application for both Java, Android and iOS is very light weight: it doesn’t drain battery or consume your memory. - 2go is constantly updated with newer features. 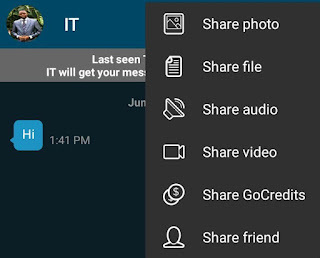 - You can send any file to friends on 2go. This is 2017, so what’s new in 2go? 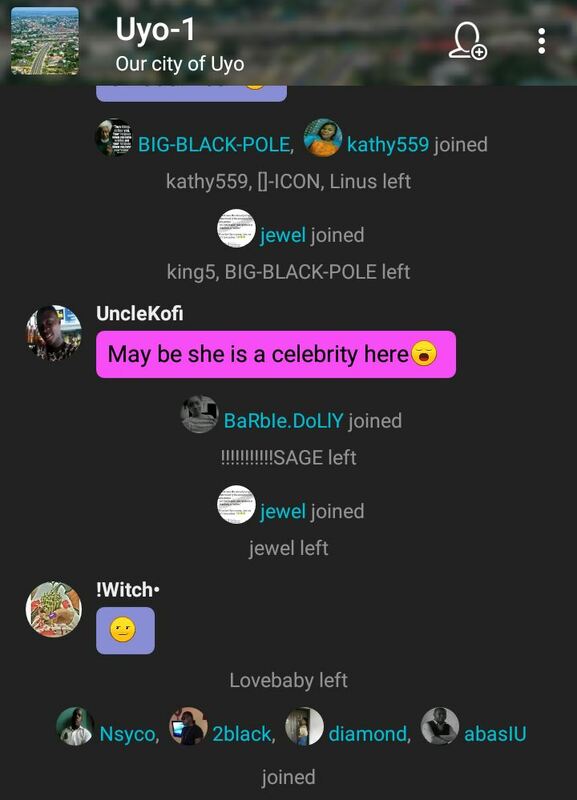 While 2go keep supporting the older phones, new devices and OS like Android and iOS gets a more sleek experience on the revamped instant messaging platform. Most of the older stuff you knew about 2go just got better and with greater privacy controls to keep away the “kids”. 2go allows you to add friends by address book, mobile number, username or from the rooms. 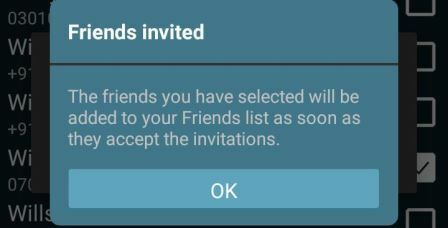 Someone can only chat with you only when you accept the person’s invitation. In addition to the basic photos and audio sharing, 2go allows you to send files of any format to your friends; a feature WhatsApp has just recently included in its latest update. 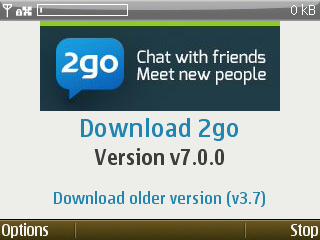 2go already had it since last year. Yeah! The popular 2go rooms where you meet friends, enemies and love. 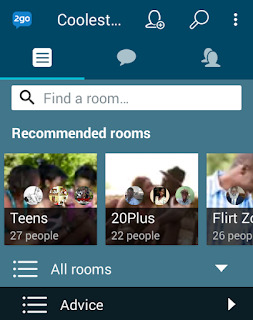 The 2go room has been repositioned as the pivot of the app. As you run the app, suggested rooms comes into view. The best part is that you can take a peek on the faces of the people in the room without entering the room. Quite the feature I am most impressed with. 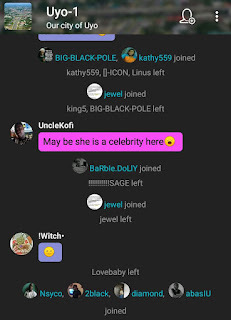 When you are in the room, you don’t just see the names joining and leaving, you can now see the faces. Also, you can tap and send a friend request from the chat screen without going to the list of people in the room. If you have a data subscription, 2go will be among the apps at the lower end of you data usage. Moreover, some network providers like MTN do offer a special data plan for 2go and it is one of the cheapest to use. For MTN, dial *131*7*1*5# and choose the best 2go bundle for you. The apk for Android is just 5mb in size for installation and it is available directly or on Google Play Store, it also has an iOS version on Apple Store. For the Nokia and other devices version, the installation is very simple and straightforward, just type wap.2go.im on the phone default web browser and download the required file for automatic installation. For S60 devices, get the latest 2go version 7.0 java file directly, copy the two files to one folder and install on your device. Click here to download the 2go v7.0 .jad installation file. 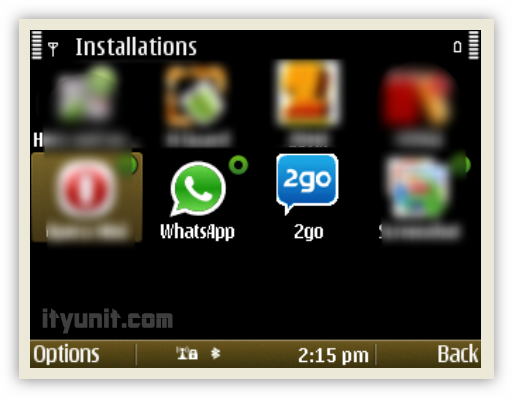 Click here to download the 2go v7.0 .jar installation file.